Wake up as the ferry pulls into Aasiaat at 8am. This the first AUL ferry of the year to make it this far North, and it’s clear why, the sea is still covered in a layer of ice. I guess they’re used to that here though and sure enough the ice is thin enough for our ferry, the Sarfaq Ittuk, to plough on straight through it. We stop for just half an hour at Aasiaat so once again there’s no opportunity to get out and see the town which is a shame. Up until Aasiaat I saw a handful of icebergs, but once we leave and head up through the Disko bay the sea is suddenly chock-a-block with them, the vast majority coming from the Ilulissat Glacier (or Sermeq Kujalleq to give it it’s Greenlandic name) which is the most productive glacier outside of Antarctica. 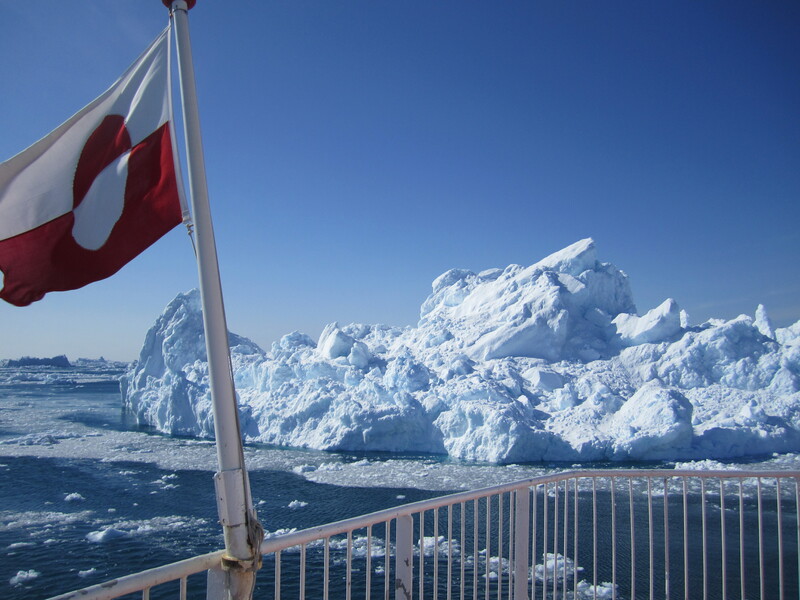 It’s a pretty spectacular few hours sailing through the icebergs, the ship having to constantly change direction to find a way through. It’s absolutely freezing out on deck, so I tend to spend half an hour or so outside taking photos before going back into the warmth of the aft lounge. 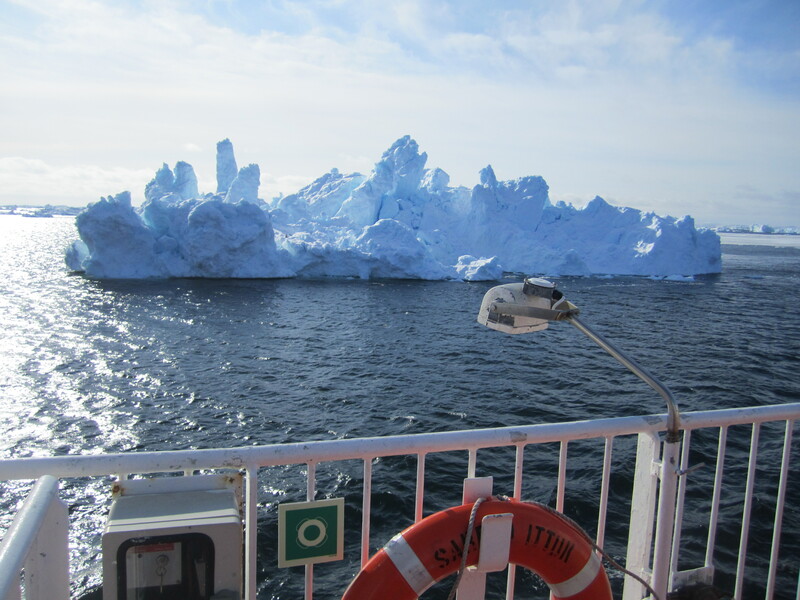 About 2pm we arrive in Ilulissat, an hour behind schedule but I don’t think many people were complaining, it’s pretty amazing we made it at all given all the ice. I get a lift to my hotel, Hotel Avannaa, from the very friendly Faroese lady who runs it. It’s a really nice hotel with an amazing view over the bay and I’m glad I chose to stay here.